Scientists have designed ant-proof nests to protect Endangered Yellow-faced Bees. 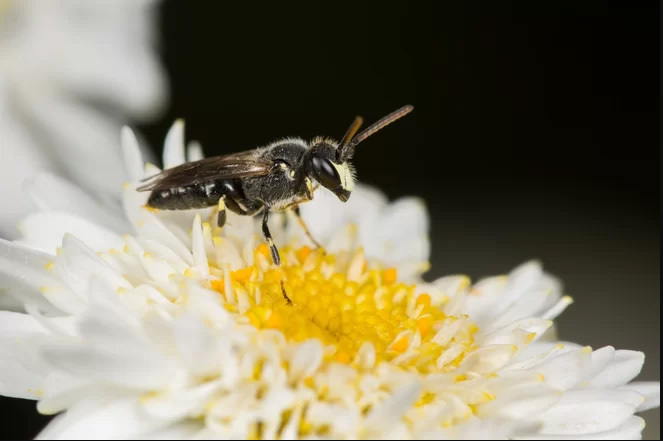 In 2016, seven of Hawaii’s sixty species of Yellow-faced Bees (genus Hylaeus) were added to the Endangered Species List. The bees are primary pollinators of the abundant Hawaiian Naupaka shrub. The decreasing population can most likely be attributed to nest disruption from invasive ants. There’s virtually nothing known about the mating behaviors of yellow-faced bees. A stationary female is swarmed by a cloud of male bees, each eagerly soliciting approval by poking the female. Eventually one male suitor will begin tapping his antennae with the female’s antennae, after which the pair intimately engage. This exchange can last anywhere from 5 seconds to 20 minutes. The function of the bees’ unusual behavior remains unclear. That is one of the reasons why solitary bees tend to be more threatened than social bees, which lay tons of eggs. 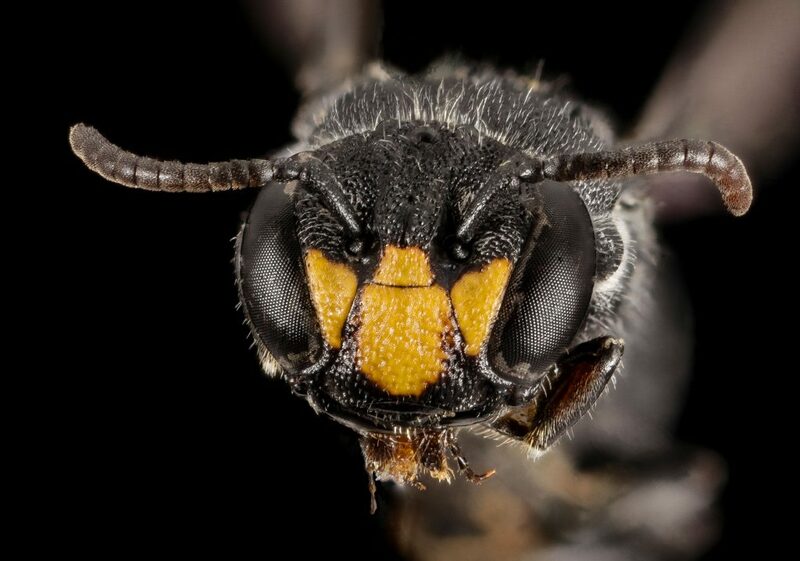 Between the physical strain from the ants, and the reproductive rate of the bees, the endangered status of Yellow-faced Bees is not surprising. Graham and Plentovich utilized their observations to administer effective conservation. Graham has developed artificial nests covered in a sticky material that prevent fire ants from interfering with the eggs. These nests have proven effective, and female Yellow-faced Bees have been successfully inhabiting them throughout Hawaii.